Ants are one of the most hardworking creatures in the world. They are self-disciplined, systematic and persistent. That is why ants invading your beautiful garden are such a nuisance! Behaving like intelligent brutes, these ants live in colonized societies. They live in nests under cracks and pavements or in this case, they form their nests under trees or plants. United We Stand . . .The organized behavior of ants is what makes them so hard to conquer. Where there is one ant, there are bound to be a thousand lurking somewhere near inside their nest. Ants are predators. They can take care of many lurking insects in your garden. They also eat up dead insects such caterpillars. Overall, they’re a huge help in cleaning up the ecosystem. Ants aid in pollination by carrying pollen from one place to another. But, They Are Damaging Your Garden! The deal with ants is, there are many different species (over 12,000+ species! ), some of which can be pretty harmful. 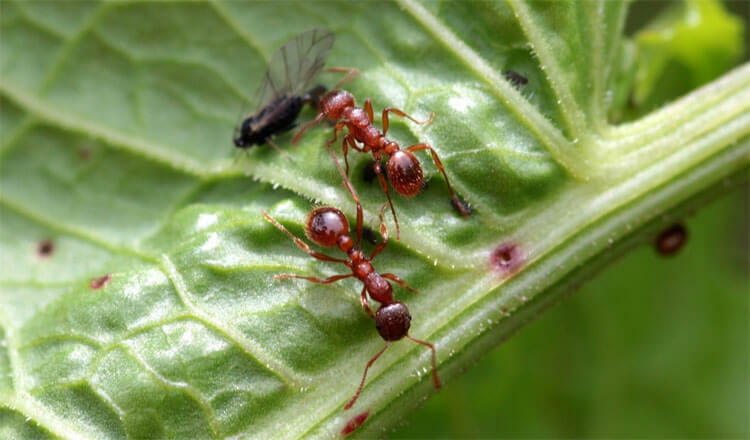 Take the example of bullet ants; as the name suggests, bullet ants’ bite is unbearable in terms of pain. So much, that it can be compared with being hit by a bullet. These ants are bigger in size too. 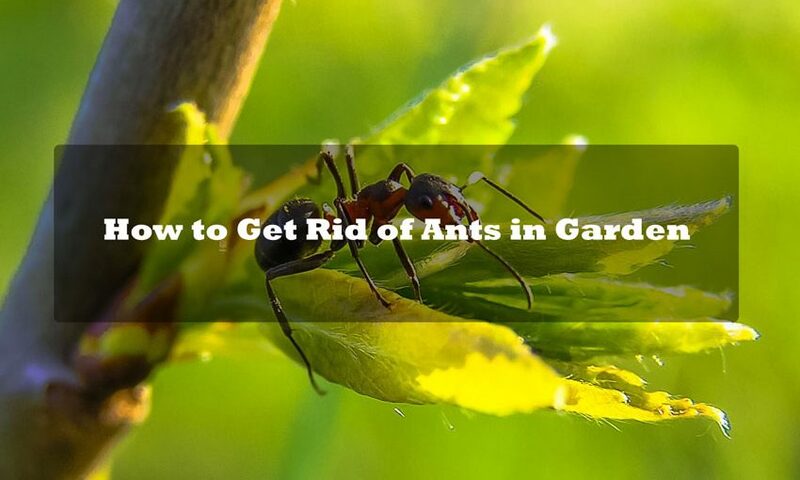 Such ants can come in the way of gardening, picking flowers, plowing for fruits and vegetables and doing daily gardening tasks like watering the plants. Humid gardens are perfect habitats for bullet ants. For people having trouble with this pest, we recommend reading about treatments of bullet ant venom for a detailed solution. Let’s discuss each one in detail! So basically, anyone’s first call when facing an army of ants would be either to try out dear old grandma’s home remedies or seek help from the internet. In the very beginning, we recommend you try out the non-toxic methods. Here we have compiled a list of solutions for you precisely so that you can protect yourself from the invasion of ants! The most handed out advice when dealing with these tiny beasts is to locate the ants’ hills, nests, and mounds wherever they are in your garden and pour boiling water over them. The best way to find these mounds can be by following the queue of ants and they will lead you to their secret safe house themselves! This solution must be repeated for a few days consistently in order to achieve one hundred percent results. Another suitable solution that most gardeners’ find helpful is eliminating ants by the use of Pipe Tobacco. 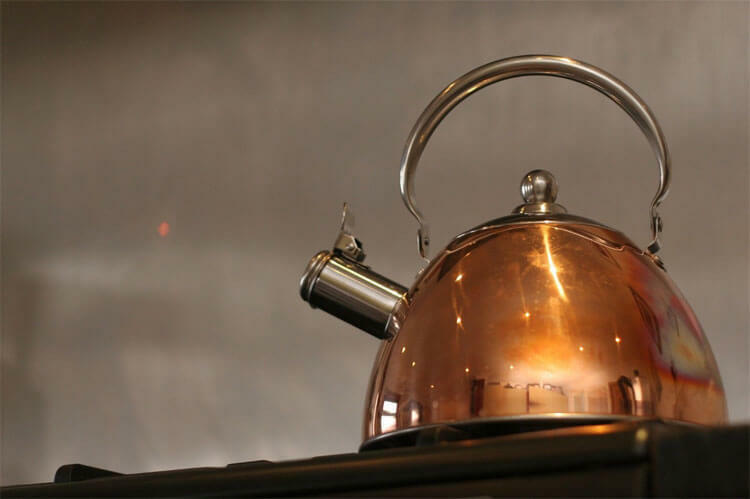 First, you soak tobacco overnight and make a tea with it. Then, just like putting boiled water in these nests and hills, you need to soak the hills with this tea. This is a sure way of getting rid of ants in the garden if done repeatedly after locating all the mounds in your garden. Now, this is when you trick the ants into eating poison disguised in sweet! Just like Snow White. A bit dramatic isn’t it? All you need to do is make a paste by mixing together sugar and boric acid. Now place little amounts of this paste near the ants’ mounds. Ants love sugary sweet things! They will not eat some but also carry it back into their mound for the royal queen. Shortly after eating this paste, the ants will begin to die because of the boric acid in this paste. Evil, I know but works like a pro! Pouring white vinegar directly into the nest of ants can kill them instantly. It’s not harmful for your garden either and delivers instant results. 1 liter of white vinegar is enough for one hill. If it is difficult for you to locate the ants’ hill, you can still target them individually by placing plants that are natural repellents of ants such as scented marigolds, catnip's, tansy, garlic, and peppermint/spearmint. Beneficial nematodes are the ants’ arch nemesis. This makes them one of the amazing solutions to get rid of ants. How do these microscopic creatures work, you ask? They enter the digestive tract of insects like ants, fleas, beetles, and moths, and secrete and excrete bacteria. This proves to be deadly for the insects, making them die in one to two days. However, for this remedy to work, the temperature of your garden must be around 45 ℉. The temperature of the soil must also be regulated to lie between 40 to 90 ℉. So this method can be perfect for indoor gardens or nurseries where the temperature can be regulated. By sprinkling diatomaceous soil on a dry surface (the wetter it is, the more difficult it is to work) around the ant's path or ants’ nest can work wonders. It is not harmful to vegetables and plants. It works by drying out and killing the insects by absorbing the fats from the exoskeleton of the ants or any other insects. 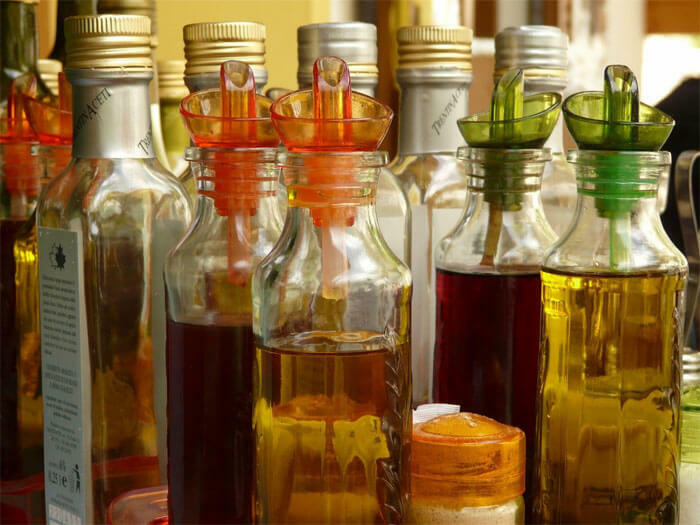 When home remedies don’t work, you can try out different toxic methods or seek professional help. Ant killing sprays, gels, and poison are easily available at different nurseries or medical stores. The gel works exactly like the mixture of boric acid and sugar where the ants are attracted to the sweetness of gel. Some poisons come in powder form, and some in the form of tablets. Orange guard is another liquid spray that contains orange peel extract to drive away the ants. Caution must be observed to keep away children and pets from an area where you’ve exercised the poison. Sometimes ants can develop resistance towards these killings sprays or poison. If you have exhausted all your possibilities but ants seem to face off all your methods, you can contact professional exterminators to take care of this ants’ invasion at your home. We hope you will find these tips and strategies useful in your war against these pests of nature! Remember to take necessary precautions and avoid going overboard with the toxic methods. Persistence is the key.